Wuwei camellia (Pyrenaria buisanensis) and Carpinus hebestroma are found within restricted ranges of Taiwan and the occurrence of intensified weather events threatens the small populations of these species. These two species will be conserved through genetically representative ex situ collections and awareness of the species will be raised with display collections within Taiwan botanic gardens. Taiwan is an island with an estimated 1067 endemic species (approx. 25%), many of which occur in constricted areas due to the diverse geological history of the island and may be threatened through the results of increasingly severe weather events. Existing in small populations today, Carpinus hebestroma and Pyrenaria buisanensis (wuwei camellia) are two species which represent the rich endemic flora of Taiwan. A member of the birch (Betulaceae) family, C. hebestroma exists entirely within the steep limestone hills of Taroko National Park in Hualien County while P. buisanensis only grows unprotected, in the mountains of Taiwan’s most southerly county, Pingtung. Both species’ small populations are threatened by unpredictable events such as landslides during intensified typhoons of the rainy season of the western Pacific Ocean. These events have increased the need to protect species in montane habitats with small populations. P. busianensis and C. hebestroma, with little and no representation in ex situ plant collections, require urgent measures to assess current known populations and to collect seeds to act as a back-up population in case the worst case scenario does happen. Such a collection, held within Dr. Cecilia Koo Botanic Conservation Center could then form the basis of a species reintroduction into the wild. Conducting field surveys of known populations of C. hebestroma and P. buisanensis to assess current population status, size and distribution. Undertaking field trips to collect seeds during the fruiting period to create genetically representative collections for ongoing propagation in KBCC and the National Museum of Natural Science Botanical Garden. Developing living collections within the National Museum of Natural Science and other public botanic gardens to educate the public and school children about about endemic, threatened trees of Taiwan. Surveys carried out in early 2017 revealed previously unknown individuals of P. buisanensis within one of the known localities, increasing the total known population by 15. The periods of fruiting were observed and seed collections were made over 2017 and 2018. 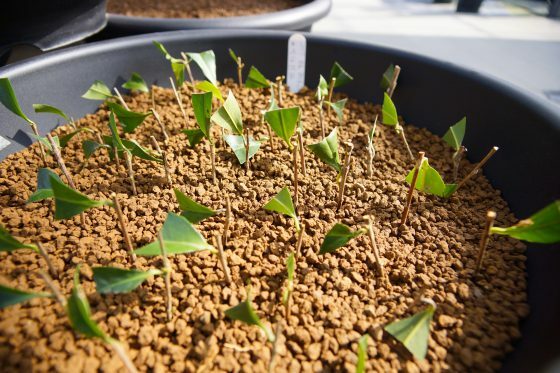 Over 1,900 seedlings of the species are now being grown at KBCC. These seedlings provide the possibility for future display collections at local botanic gardens and schools in southern Taiwan. 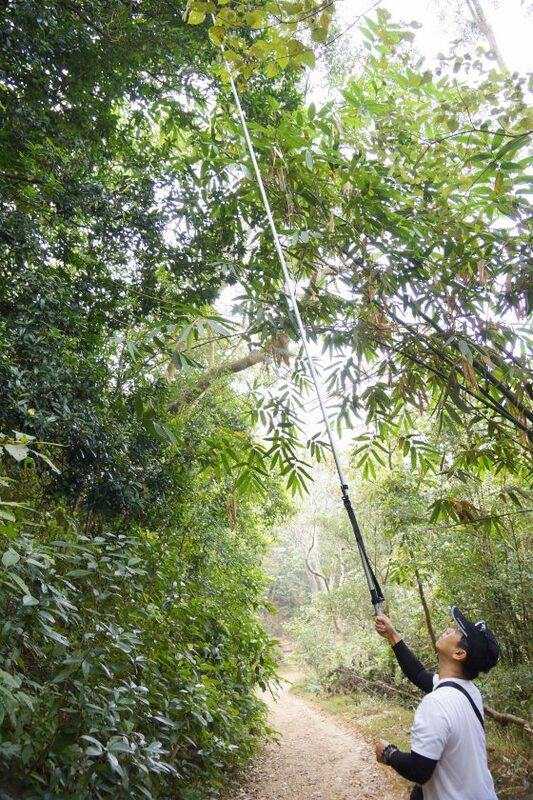 An updated global Red List assessment has been published for this species and an outreach campaign has been initiated with the local Pingtung County Government. A resulting MOU has been signed between KBCC and the County Government to contribute further to the conservation of endemic plant species in the county. 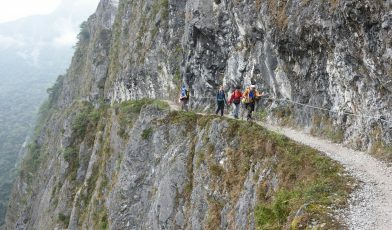 Field trips to Taroko National Park in 2017 involved the collection of the specimens of individuals believed to be C. hebestroma. Initial morphological study of Carpinus sp. by the TFRI suggests that C. hebestroma may not represent a true species, but is in fact a variation of C. kawakamii, a common and widespread species in Taiwan. The material collected will be used to compare with C. kawakamii collected across Taiwan to clarify the morphological and genetic identity of these individuals. The giant redwood, is the biggest tree in the world. The biggest individual tree is named ‘General Sherman’ and has a circumference near the ground of 31.1m.